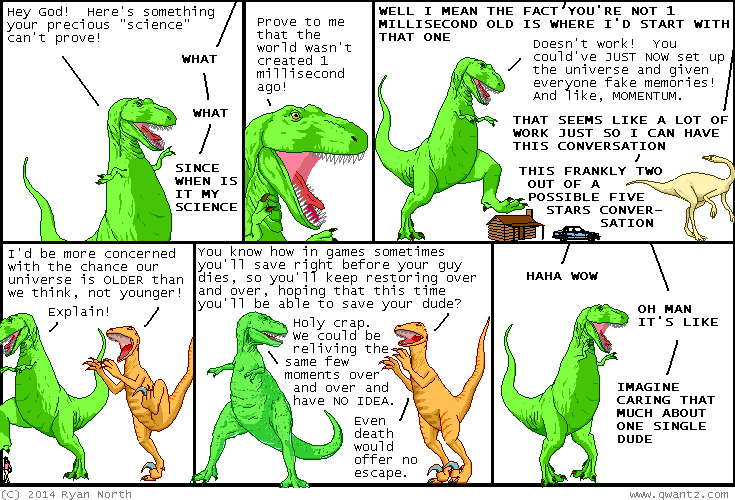 Dinosaur Comics - May 6th, 2014 - awesome fun times! May 6th, 2014: Over the weekend I bet on a horse I named (Pony) "Danza" and he did NOT win against the other galloping steeds. But he came in third so he's still a pretty good horse, even if he cost me $2. Pony Danza I just hope that one day, instead of running away from things... you find something to run towards.